The letter sent by our Executive Director to the Albany County Legislature in support of paid sick leave legislation. In 2017, Habitat was recognized by the Capital Region Refugee Roundtable for our partnership with Karen and Karenni refugees.  For almost a year, Habitat for Humanity has been working to encourage Congress to ensure tax reform would have a positive impact on affordable housing and do no harm to the charitable sector.